Zion Train, Top Cat, Roots Manuva & Wrongtom, Black Samurai, Daddy Freddy & The Ragga Twins, Nagual sound experiment and more. Demolition Sound Radio Show continues its third year of broadcasting,in one of the most powerful internet radios in Greece: www.paranoiseradio.com. 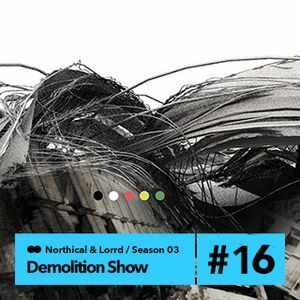 This year,Northical and Lorrd are back stronger with Reggae,Breaks,Dub,Jungle and Steppers sounds mixing live and direct.In the 3-hour weekly Sunday proggrame,x-clusive mix-tapes from several friends are being hosted.The weekly broadcast notified via Facebook:Ektos Zonis(network).We expect your messages on the Chat of the station. Big Up To All Paranoisers!